The late Peter Sichel purchased d'Angludet in 1961 and it became his home for the next 37 years. The vineyards and cuverie were in a deplorable condition when Sichel took over and it is due to his sheer will and determination that d`Angludet enjoys its high reputation today. D'Angludet's 32 hectares of vineyards are planted with Cabernet Sauvignon (58%), Merlot (35%), Cabernet Franc (5%) and Petit Verdot (2%). The grapes are fermented in temperature-controlled, stainless steel tanks and the wine is then aged in oak barriques (25-33% new) for 12 months. The wine is bottled unfiltered. What a lovely, rich and fresh wine. Ch. 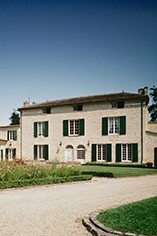 Angludet is always one of the most reliable châteaux. The rich concentration is so generous and rewarding. I love the sweetness at the front of the palate. Good depth, a bit of intensity and lovely tannins that harmoniously combine with an appealing acidity on the finish. Often described as a traditionalist's wine, this is actually rather delicious. Cabernet provides the power here, but it is so restrained, floral, perfumed and flavoursome. Margaux performed very well in 2015 and this wine is reflective of the quality of the vintage. Given that the price is always appropriate to the quality of the wine here, we have no hesitation in recommending it. Wonderfully youthful on the nose, the wine seems innocent, but attractive and compelling. Aromas of bright fruit leap from the glass, red berries in abundance. There is a lovely richness here, great structure and depth. Acidity is incredibly well interwoven with tannins to create a concentrated mouth-feel. It's a really generous, yet fresh and juicy wine. It's actually rather delicious, even at this young age and a wine which really ought to be considered strongly this year. Without doubt the best d’Angludet we have ever tasted, this 2008 certainly has the wow factor. The Sichel team knew how to make not just good wine but great wine from a tricky vintage. Extensive work in the vineyard more than paid off with superb quality fruit as the result. With a good depth of deep, dark fruit, ripe but very present tannins and a lovely, long fruity finish, d’Angludet’s 2008 is very impressive indeed - and at this incredible price it is a complete bargain to boot. Seriously good value! Taking away the ‘d’ from one of our favourite châteaux has taken absolutely nothing away from Angludet’s spectacular resurgence. Following on from its brilliant 2009, this has done it again. Full, lush, plush and plump, it is seriously generous with terrific ripe red fruits and a very polished seductive finish. It is definitely on my ‘To Buy’ list. Delicious, ripe and rich with a wonderful pure, bright and crunchy core of red berries that really leaves you wanting more. 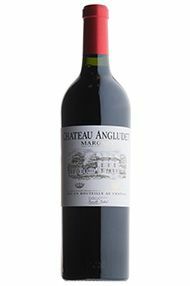 We have always had a great fondness for this lovely little Margaux but it's not really since 2008 that we have really fallen in love with it. At this price it's definitely worth looking at a case or two for the cellar. Reasonably early drinking too. More elegant than many vintages, it delivers in so many other ways. Aromas of sweet bright fruit jump out of the glass, silky velvety red berry notes with good, supple richness. The structure behind this wine provides perfect balance and harmony with a beautiful uplifting and generously long finish. We are not sure how many will follow Angludet’s example but despite the room for manoeuvre being much tighter at this level, they are aware of the market needs so have released almost 20% below the release price of 2011. A sweet and fruity nose shows hints of spice and there is a really attractive mouthfeel. Ben Sichel was worried about ripening, particularly in regard to his Cabernet Sauvignon, but we think he has succeeded with good depth and weight of fruit shining through on the palate. 25% of the estates yield was used for this 2013 and there were just 65,000 bottles produced in this vintage, rather than 90,000 in 2012. Ben Sichel is becoming recognised as a brilliant winemaker and he has really pulled out the stops in 2012. While many of his neighbours struggled, he has managed to produce a wine with the perfect balance of fruit, freshness and elegance. The tannins are firm but far from aggressive, meaning that this will be a wine that will repay maturation over the next five years or more. Ch. Angludet has been a favourite with Berry Bros. & Rudd customers for as long as I can remember, always sensibly priced and reliable. This vintage will be no exception. What a beautiful wine! Intense, sweet, succulent and even decadent ripe blackcurrant fruit with such a lovely freshness both on the nose and palate. The hard work the team are doing in the vineyards with very low yields and rigorous selection have made yet another knockout vintage even surpassing their brilliant 2008. This is the finest and dare I say the sexiest d'Angludet any of us have ever tried. Glorious.